1. April 2015. The Thai town of Sangkhlaburi is home to two distinct settlements located either side of the stunning Saphan Mon Bridge. To the south lies a mostly Thai community and its concentrated huddle of houseboats on Khao Laem Reservoir, to the north sits an ethnic Burmese Mon village on the riverbanks. The Mon are a predominantly Buddhist and rice-growing people with a history of persecution and displacement. 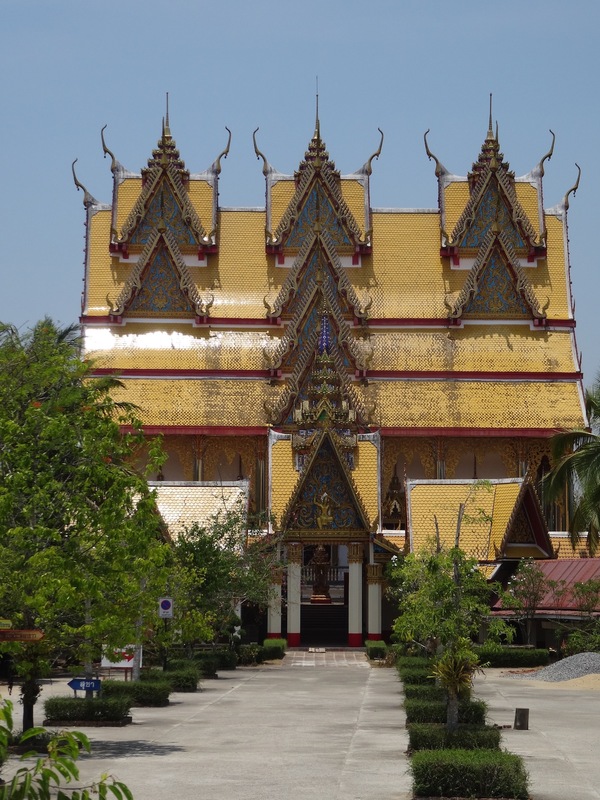 Travellers who come to see this distinctive Sangkhlaburi village invariably head to Wat Wang Wiwekaram Temple and Buddhakaya Chedi, the community’s definitive spiritual centre. 2. April 2015. Wat Wang Wiwekaram is also known as Uttama Temple after its founding monk Luang Phaw Uttama, one of Thailand’s most noted Buddhist monks despite being of Burmese origin. 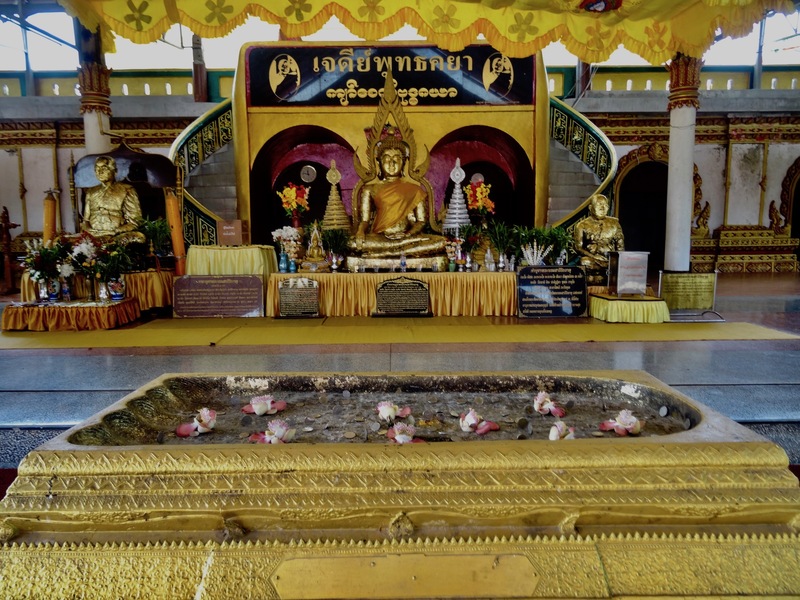 Built in 1982 just a year before his death, a tour of the complex begins here at the golden, corncob style Buddhakaya Chedi, which can be seen for miles around Sangkhlaburi. 3. April 2015. Head inside the chedi for a number of elaborate Buddhist shrines, while an elegant staircase leads to the tower itself. Monetary donations, along with the symbolic Salavan flower can be left here in this golden urn. Anyone who can successfully balance a coin on the gravelly, uneven surface will apparently be granted great fortune! 4. April 2015. Wat Wang Wiwekaram temple itself is about four hundred meters down from the chedi. Amid all the usual shrines and altars you can also find Luang Phaw Uttama’s coffin, in which lies the man’s cremated remains. 5. April 2015. 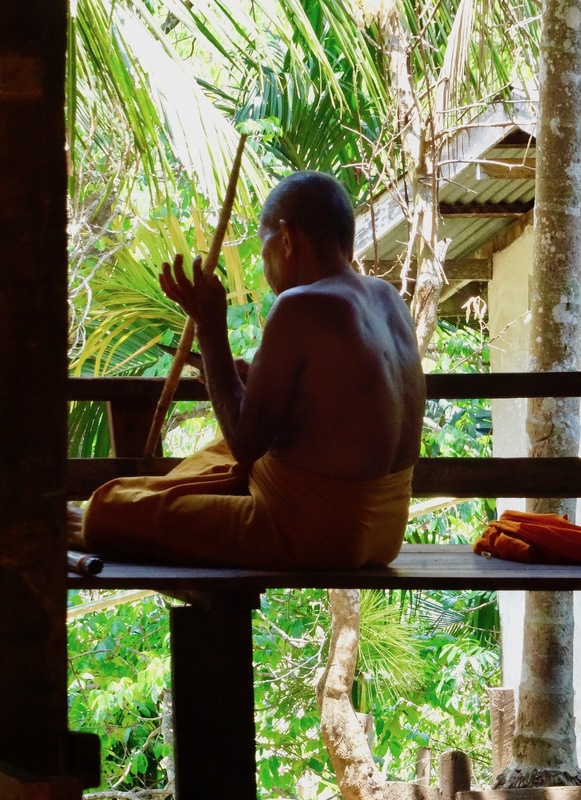 A number of Mon monks still live in the temple and for me the most interesting part was to wander through the beautiful residential grounds where they live in simple rooms set around a series of peaceful gardens. Visitors are more than welcome so don’t be shy in having a look. The plants and flowers on display are gorgeous and dogs, cats, chickens and roosters all wander about freely. Here and there you’ll see the monks reading, napping and meditating between the shrubbery. 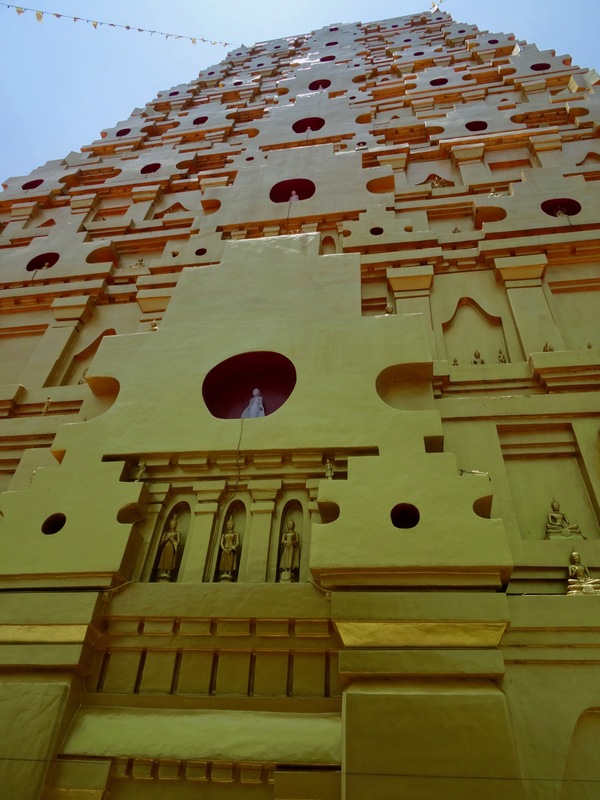 Wat Wang Wiwekaram is open daily from sunrise to sunset and is free to enter.